This News Bulletin describes two separate landmine incidents. One incident occurred in March 2016, in Dwe Lo Township, Hpapun District, and the other incident occurred in April, in Mone Township, Nyaunglebin District. On March 16th 2016 at 8:00 am, a 42 year old male C--- villager named Saw B--- stepped on a landmine when he was clearing his hill farm. He was hospitalised at ICRC hospital and his right leg was amputated. On April 26th 2016, a 25 year old Bamar ethnic villager of E--- village, named Maung G---, was hit by a landmine when he was going to collect firewood near his cultivation land. 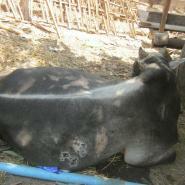 He did not sustain a serious injury, but the landmine injured one of his cows and damaged his bullock cart. Both landmines are suspected to have been planted by KNLA soldiers; however, neither victim received any support from the KNLA. On March 16th 2016, at around 8:00 am, a 42 year old male C--- villager named Saw B--- (also known as H---) stepped on landmine at his hill farm at K--- (also known as L---), C--- village, between K’Ter Tee and Lay Hpoh Hta village tracts, Dwe Lo Township, Hpapun District. His right leg was blown off and his side was injured by the landmine shrapnel, which rendered him unconscious. The villager had gone to clear his hill farm with two friends, but only he stepped on the landmine. 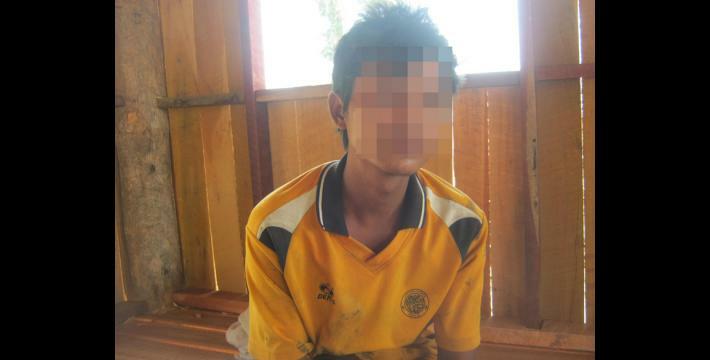 After he sustained the landmine injury, he was sent to hospital in Ka Ma Maung Town. However, since the injuries he sustained were serious, he was later hospitalised for treatment at the ICRC (International Committee of the Red Cross) hospital in Taung Ka Lay Town. Village head of C--- village gave Saw B--- 300,000 kyat (US $247.19) for travel and food costs while he was in the hospital. Saw B--- was hospitalised for one week at ICRC hospital; after he was discharged the hospital provided him with a prosthetic leg. He returned to his village and a trained medic cured [treated] the remaining injury there. Saw B--- is married and has five children. He earns a living by working on a hill farm, and when he did not have enough food for his family, he did casual daily work; due to his landmine injury, his family will now face difficulty. The local villagers reported to a KHRG community member that the landmine Saw B--- stepped on was old, and they do not know which armed group planted it. Tatmadaw, BGF and KNLA (Karen National Liberation Army) soldiers operate around C--- village. Some villagers suspect that the landmine was planted by the KNLA during the conflict period, to target Tatmadaw soldiers who used to patrol in Lay Hpoh Hta areas controlled by KNU (Karen National Union), but some villagers remain uncertain. On April 26th 2016, a 25 year old Bamar ethnic E--- villager named Maung G--- was hit by a landmine when he went to collect firewood near his cultivation land. Maung G--- reported to a KHRG community member that when he was going to his cultivation land with a bullock cart to collect firewood, one of the bullock’s wheels was hit by a landmine at H--- area, which is close to a jungle and one mile from E--- village. 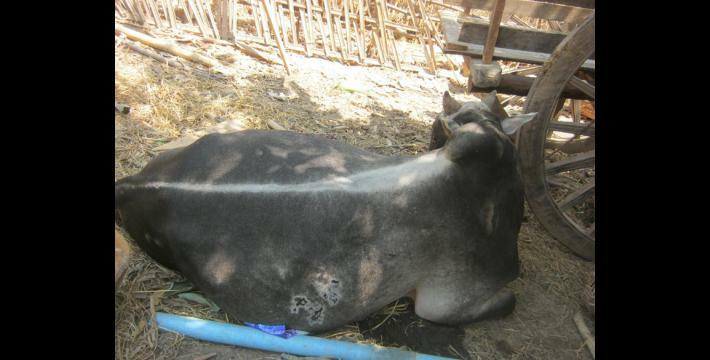 He sustained some injuries on his leg from landmine shrapnel, one of his cows was injured, and one of his bullock’s wheels was damaged by the landmine explosion. According to Maung G---, the landmine was newly planted, and he suspects it was planted by KNLA’s Company #1 soldiers. He also mentioned that the KNU prohibited people from logging in that jungle, so they planted landmines intending to warn people not to log there. He added that the KNU went to inform people in E--- village not to go beyond the H--- River. The reason why he was hit by a landmine is because he has cultivation land beyond H--- River, so he went there to work and collect firewood. He also added that he did not see a sign marking a landmine in the area where his bullock cart was hit. Before Maung G--- was hit by the landmine, he saw that small trees were cut and lying on the road, but he did not think it was a landmine mark because people in the area often cut trees in the jungle. The day after the landmine explosion, the local Tatmadaw and KNLA leaders came to the village and questioned him about the incident. The local KNU leaders asked him why he went to an area that he had been told not to go, and he replied that he needed firewood, so he went to collect it. The KNU leaders told him that as he had knowingly gone there, he must deal with the consequences himself. The KNU leaders also asked him if he did it with the purpose of creating a misunderstanding between Tatmadaw and KNU. Maung G--- did not receive any support from the KNLA. He mentioned that villagers from E--- village used to collect vegetables and firewood in the area, but since he was hit by the landmine people no longer dare to go there. This News Bulletin was written by KHRG office staff and is based on information from a community member from Nyaunglebin and Hpapun districts who has been trained by KHRG to monitor local human rights conditions. It summarises information from one situation update and three interviews received by KHRG in April and May 2016. In order to increase the transparency of KHRG methodology and more directly communicate the experiences and perspectives of villagers in southeastern Burma/Myanmar, KHRG aims to make all field information received available on the KHRG website once it has been processed and translated, subject only to security considerations. For additional reports categorised by Type, Issue, Location and Year, please see the Related Readings component following each report on KHRG’s website. All conversion estimates for the kyat in this report are based on the 26th August 2016 official market rate of 1,213.64 kyats to US $1.